Strollers are available in a plethora of sizes and prices. A stroller is an expensive investment, and there are numerous models on the market. So, how to find the best baby stroller? The good news – our experts will tell you how; right here, in this comprehensive guide. You need a stroller that will keep your baby comfortable, safe, and suit your pocket. But, what all factors add up to make one stroller worth $150 and the other $800? 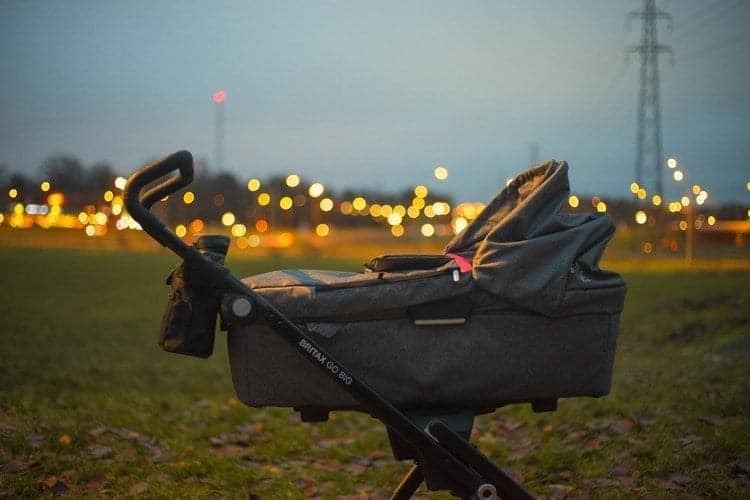 Several factors such as the manufacturer, materials, durability, modern styling, construction, etc, come together to define the price of a stroller. Nevertheless, you don’t need to spend a fortune to buy a premium-quality stroller. 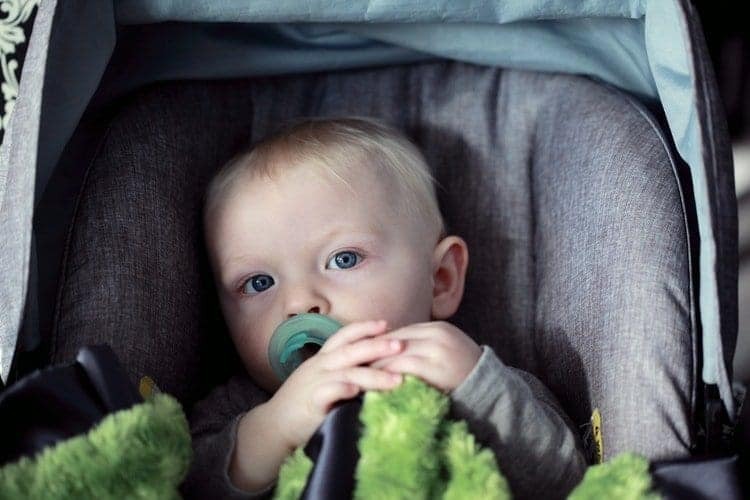 It’s all about how you’re planning to use it, and what more important to you – the safety of your baby, the features of the stroller, or the price? We’ll discuss how to find the best baby stroller in this guide. Read on to know more. 9 What makes a perfect baby stroller? 10 What to look for when buying a baby stroller? 11 How to buy a baby stroller according to the baby’s age? 12 How much would a baby stroller cost? 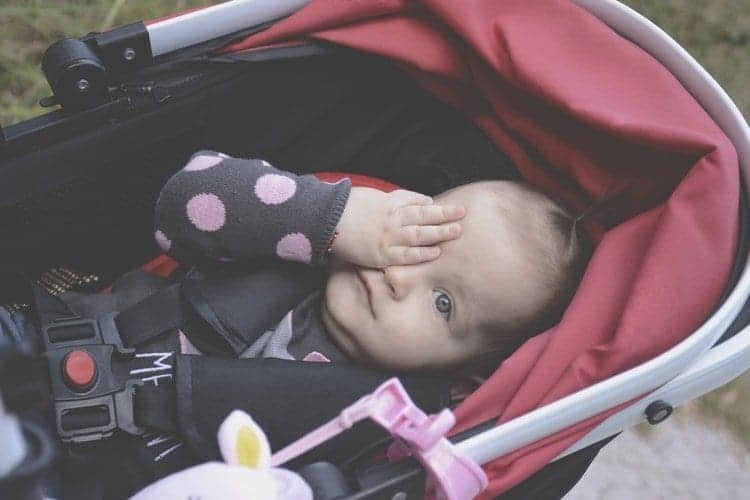 The first and most important thing you need to know before you buy a stroller is the types of strollers available on the market, and their pros and cons. Let’s look at them one by one, in a little more detail. If you’re looking for an easy to use and lightweight stroller, the umbrella stroller can be a good option. They are inexpensive, and that’s another good thing about them. However, make sure you check the JMPA certification (we’ll cover it in a later section of the guide). Typically weigh 15 lbs. or less. Many lightweight strollers come with remarkable features such as a storage basket, partial seat recline, expandable canopy, built-in snack tray or cup holder. Lightweight strollers are not suitable for newborns. Most of them are designed for babies above 6 months. If you’re planning to invest in a stroller that’ll help your baby comfortably sail through the toddler years, look nowhere else because a full-sized stroller is all you need. It is bigger, stronger, and typically more durable. Moreover, most full-sized baby strollers come with incredible features to make your baby’s and your life easier. Comfortable, wide, and well-padded seats. Option to mount the seat rear-facing or forward-facing. Option to add a car seat. Convertible designs to accommodate the growing age and body of your baby. Sturdier wheels with good suspension to absorb sudden impact. Telescope handlebars for tall parents. Other useful additional such as a snack tray or cup holder. Can be difficult to carry while traveling. Not suitable for small spaces that have limited storage. City Mini vs City Mini GT Ultimate City Mini Stroller Battle! A car seat carrier is a wheeled frame that can transform your baby’s car seat into an easy to carry stroller in a matter of minutes. Easy to carry your baby on a vacation. Missing baby stroller features such as snack tray and cup-holder. Jogging strollers are not recommended unless you’re actually going for a jog or run. Even though they look cool and stylish, they’re bulky, difficult to turn, and even more difficult to fold. The premium-quality suspension allows you to walk, or hike while keeping your baby comfortable. Maximum maneuverability on the trail. Front wheel for stability during high-speed and greater flexibility. Suitable for use right from birth to toddler years. Integrated safety features such as five-point harness, a hand brake, and wrist strap. Bulkier and difficult to turn. Not suitable for small spaces with limited storage. Pro tip: Not all strollers with 3 wheels are suitable for joggers. Some 3-wheel strollers are also known as hybrid strollers that don’t have hand brakes and other safety features. A travel system is a sturdy combination of a car seat and a stroller. On the market, you’ll find full-sized, jogging, and umbrella travel systems. The pros and cons of each are the same as those of the individual strollers. So, you can choose the travel system that best suits your requirement. Easy to move your baby from the car to the stroller using a built-in adapter. By purchasing a set instead of purchasing a car seat and stroller individually, you can save more money. Even though the stroller will last through the toddler years of your baby, they will outgrow the car seat pretty fast. A double stroller is perfect for parents with twins. Double strollers are available in 2 variants: side-by-side seating, or tandem where one child sits behind the other. One stroller for multiple children. Difficult to carry and store. Stroller type Price Range Who is it suitable for? What makes a perfect baby stroller? The baby stroller you buy would completely depend on your requirements and choice. So, there’s no hard and fast rule when it comes to buying baby strollers. As parents, you’re free to exercise whichever options you like. What to look for when buying a baby stroller? A critical aspect of “how to find the best baby stroller” is “what to look for when buying a baby stroller.” Without enough information and knowledge about baby strollers, you cannot make an informed choice. In this section, we’ll discuss 16 things you need to consider while buying a baby stroller. On the one hand, many baby stroller models with mid-range prices can be large and bulky which makes them unsuitable for narrow passages, markets, and other crowded areas. On the other hand, smaller and lightweight strollers such as the umbrella stroller may not serve the purpose if you need a large storage basket that can store baby essentials such as diaper bags, extra clothing, feeding bottles, etc. Therefore, it’s important to know where you’ll go with the stroller and how you plan to use it. All baby strollers being sold in the U.S. must adhere to the federal safety standards: 16 CFR Parts 1112 and 1227. For greater assurance, look for a sticker on the stroller that validates the manufacturers’ participation in the certification program conducted by Juvenile Products Manufacturers Association (JPMA). JPMA certified strollers are tested for stability, properly functioning stroller brakes, locking mechanisms, restraint system, leg openings, and absence of sharp objects that can hurt your baby. If you’re not sure about the JPMA certification of the stroller you want to buy, you can check JPMA’s official website for more information. Many strollers these days come with seats that have multiple recline options and bassinet modes. However, there are several models that come with neck control features to support the anatomical structure of a newborn. While you may pay higher prices up front for particular models, it would make sense to buy a baby stroller that can be used from infancy to the toddler years. How long do you plan to use the baby stroller? Are you planning to use it for multiple kids? Shop for the baby stroller keeping in mind the long-term value. Once you’ve performed thorough research and selected a few models, it would be a good idea to test the products before you buy any of them. And, don’t test the products only on an even surface, make sure you try it on rugged terrains too. Can you steer it easily and smoothly? Can it be maneuvered using one hand? Can it handle a sharp turn? Air-filled and large wheels are great for bumpy grounds and long walks, while smaller wheels are more suitable for running errands and use in the city. Swivel-type front wheels offer better maneuverability, whereas locked wheels add stability to the stroller. Make sure you check the suspension system of the baby stroller. A solid suspension system will ensure your child doesn’t get exposed to impact. This is something very important as infants have a very delicate spine structure. If you go for a heavier frame, the stroller will become bulky. So, buy a baby stroller with a lightweight frame. However, make sure the frame is sturdy and durable. Both brakes of the stroller should come into play together. When the brakes are on, the stroller should not move at all. Never live under the assumption that you won’t need a canopy to save a few dollars. A canopy can help a great deal during the hot summer days. However, make sure the canopy is foldable and large enough to cover your baby from all sides and protect them from strong winds and the sun. This is a critical factor that you cannot afford to skip if you’re tall. Handlebars that can be adjusted basis your height can help a great deal in making the stroller handling time comfortable for taller parents. It’s really annoying to push a stroller that requires you to stoop. A reversible seat provides you with the ability to modify the direction of your baby based on your requirement. Many parents prefer that their babies should face them. Nevertheless, curious babies always want to face the world around them. Just like the canopy, many parents underestimate the significance of a storage basket underneath the stroller and end up carrying heavy bags on their shoulders. If you don’t want to carry baby bags all around you, buy a baby stroller with a large storage basket. It’s very handy for carrying baby essentials such as diapers, towels, baby food, and a lot more. How easy is the baby stroller to fold and unfold? How conveniently can it be stored in your bedroom? Can it be tucked away in your baby’s wardrobe? Many baby strollers come with a single fold which makes it a little cumbersome to store them. A stroller is incomplete without a restraint system. The safest restraint system is a 5-point harness that safely wraps around the baby’s waist, through the legs, and comes down from the shoulders. Check for a buckle that’s easy to open, but secure for your baby. A lightweight stroller is easy to push, carry, travel with, and so on. These days, you can even find ultra lightweight baby strollers weighing around 8 to 10 lbs. But, they’re typically umbrella strollers for older babies. An ideal for a newborn’s stroller would be around 11 to 15 lbs. Heavy-duty baby strollers weigh more than 40 lbs. and are inconvenient to carry and push. Some parents hold a misconception that lightweight baby strollers are cheap and low-quality. That’s not true; there’s no relation between the quality and weight of a baby stroller. How to buy a baby stroller according to the baby’s age? Are you looking for a stroller for your newborn or toddler older than 6 months? During the first 6 months, your baby cannot sit upright and doesn’t have any neck or head balance. Therefore, during this period, you should either use an infant car seat, a completely reclined seat or a bassinet. The first option is the best as you can use you can easily transfer your sleeping infant from the car seat to the stroller, without waking them. However, if you want a completely flat base, we recommend you use a bassinet. When your baby develops neck and head control and strength, you can drive them in a lightweight umbrella stroller. However, with the growing age of your baby, you may new a full-sized stroller with a large storage basket and other useful accessories to meet their demands. Also, don’t forget to check the durability of the stroller’s fabric, as well as the ventilation and protection features such as the canopy. How much would a baby stroller cost? Many parents end up purchasing costlier baby strollers as they firmly believe that inexpensive baby strollers are low-quality and cheap. If you’re one of them, it’s time you change your thought process. These days, online marketplaces such as Amazon provide hefty discounts on baby strollers during special sales and promotions. So, you never know when your luck may favor you. Now that you know almost everything about baby strollers and how to find the best baby stroller on the market, it’s time we throw some interesting options at you to help you pick the best baby stroller for your little one. Our experts have tested all products mentioned in this section and have shared their personal experiences to make your purchase process easy. We’ve covered each type of baby stroller in this section. Read on to know more. Minimum recommended baby weight 4 lbs. Maximum recommended baby weight 50 lbs. 2018 UPPA Baby Vista Stroller is the latest gem in UPPA’s collection of durable and premium-quality baby strollers. You can use it for two or three kids too. All you need to do is try different permutations and combinations. If you want to seat a toddler and an infant, you can use the accompanying bassinet and RumbleSeat attachment. If you’re proud parents to twins, you can add another bassinet to carry both your babies at a time. And, if you want to seat 2 toddlers at once, you can make the most of the upright seat and attach the RumbleSeat to accommodate both kids. Sounds great, doesn’t it? You’ll be stunned to know that you can even seat 3 babies at once. Overall, the stroller is versatile, value for money, easy to maneuver, and convenient to fold and store. Minimum recommended baby weight 5 lbs. If you’re looking for a full-sized baby stroller with optimum comfort and some great features, Graco Modes Stroller is all you need. It’s affordable, durable, safe, and value for money. It’s suitable for an infant as well as a toddler. So, with Graco Modes in your house, you won’t need to buy a new baby stroller with the growing age of your baby. Believe us or not, Graco Modes is 3 strollers in 1, and 10 riding options for newborns and toddlers. You can also use all Graco Click Connect Infant Car Seats with the help of a single step attachment. Minimum recommended baby weight 15 lbs. Baby Jogger Summit X3 is a jogging stroller; however, it can also be used as a daily-use stroller. The product comes with an easy to use lever that can be used to lock the frontal wheel when you’re ready to use it as a regular stroller. You can simply unlock the frontal wheel to use it in the swivel mode. You can quickly fold the stroller and easily store it in your room. When it comes to using the stroller as a normal stroller, it works for all types of terrains. 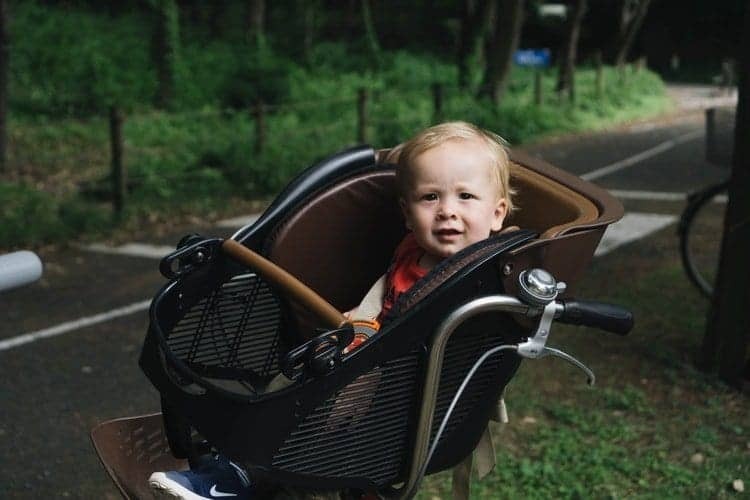 And, when it comes to using the stroller as a jogger to go uphill or downhill, the all-wheel suspension arrangement and convenient to use brakes stop the stroller in no time. Maximum recommended baby weight 35 lbs. If you’re looking for the perfect combination of a car seat and stroller, Evenflo Pivot Modular Travel System is all you need. The SafeMax Infant Car Seat is durable and comes with a stable base and robust handles. If you want to carry your toddler, you can use the stroller without the car seat. Overall, there are numerous ways of using Evenflo Pivot Modular Travel System. You can use the travel system in 6 modes. The Cruiser Tires provide your baby with a smooth ride and allow you to push the stroller without applying much force. The Mountain Buggy Duet V3 Double Stroller is a side-by-side double stroller suitable for all terrains. It is compact, fully-featured, and perfect for new parents. Whether you’re looking for an ultimate ride for your twins or a pair of siblings, there’s no double stroller more innovative than Mountain Buggy Duet V3 on the market. From busy city streets to mountains, you can use the stroller wherever you go. The width is 25-inches, i.e., the same width as a regular stroller. The new hand-operated brake allows you to handle the double stroller as you want and keeps it stable even on steep slopes. No problem if you’re holding multiple bags in your hands, the automatic fold lock and one hand fold functionality makes it easy for busy parents to wrap up the stroller when not in use. The 10-inch air-filled tires can easily absorb bumps across a variety of terrains. The stroller seat comes with different sitting positions including “lie flat” and “upright.” Another excellent feature of Mountain Buggy Duet V3 Double Stroller is the clip-on tote bag which transforms the baby stroller from a double stroller to a regular stroller. It provides you with 44 lbs. of storage. You ask 20 parents what they think about the best baby strollers on the market, and you’ll hear 40 different options an opinions. Our expert moms and dads have several years of experience with baby gear, especially strollers. Let’s read their expert tips on how to find the best baby stroller. Invest only in quality – Stay away from cheap, low-quality baby strollers. Higher handles, storage baskets, canopies, etc., are extra features that are worth paying for. A 3-wheel jogger is always a better option – Even if you’re not a jogger or runner, 3-wheel jogger strollers are way easier to maneuver as compared to traditional 4-wheel strollers. 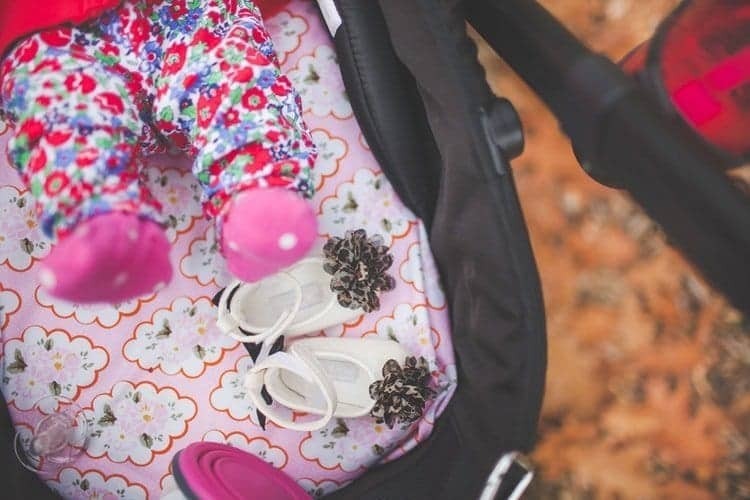 Add accessories for convenience – If you’re buying a stroller, especially for the first time, you can add some interesting accessories to make the experience more convenient and stress-free. Some accessories you can explore are cup holders, child tray, parent tray, footmuffs, protective leg coverings, etc. Watch the weight of the stroller if you’re a C-section mom – If you’ve undergone a C-section, avoid lifting bulky baby strollers. If you need to carry the baby stroller up a flight of stairs every time you get back home, buy a lighter model. Always use the safety harness – A baby stroller with a 5-point safety harness is the best option. Make sure you’ve properly unfolded the stroller – Partially unfolded strollers can collapse and injure your baby. Don’t run with a regular stroller – Firstly, don’t run with a stroller which is not a jogger stroller, and secondly, don’t run or job with a child younger than 6 months. Shocks and bumps experienced during running or jogging can damage your baby’s delicate spine and neck bones. Avoid hanging anything on the handlebars – Hanging heavy bags on the handles of the stroller can enhance the risk of tipping over. Get an underneath storage basket instead. Planning another baby – Get a double stroller. It is more cost-effective than buying two baby strollers. If the age gap between both your children is too much, you can buy a highly-durable, premium-quality baby stroller for your first baby so that you can use the same for your second child. In this guide, we’ve covered each and every aspect of how to find the best baby stroller. We’ve discussed the types of baby strollers, listed 16 factors that you should consider while buying a baby stroller, discussed the average cost of baby strollers, listed top-rated baby strollers on the market, and featured useful tips on baby strollers by our expert new moms and new dads. If you’ve gone through each section, by now you probably have a clear choice in mind. Nevertheless, don’t worry if you haven’t been able to decide yet. There are plenty of options out there on the market, and you can choose the one that suits your requirements the best. We hope you found the guide useful. If you have any questions on how to find the best baby stroller, please share them in the comment section below. Our expert parents are always ready to help you. Also, if there are any other baby products that you’d like us to review, let us know, and we promise we’ll get back to you with all the information you may need.